NCERT Solutions for Class 7 Social Science Political Science Markets book solutions are available in PDF format for free download. These ncert book chapter wise questions and answers are very helpful for CBSE exam. CBSE recommends NCERT books and most of the questions in CBSE exam are asked from NCERT textbooks. Class 7 Social Science chapter wise NCERT solution for Social Science part 1 part 2 and Part 3 for all the chapters can be downloaded from our website and myCBSEguide mobile app for free. Q1. In what ways is a hawker different from a shop owner? 1. A hawker works in a weekly market and does not have a permanent shop. 1. A shop owner has a permanent shop in established shopping complexes or malls. 2. Hawkers sell non-branded items such as fruits, vegetables, etc. Earns less amount of money. 2. A shop owner sells branded as well as non-branded items. Earns comparatively more than a hawker. 3. Since the shops are not permanent, they do not pay electricity bills, wages to workers, etc. Things to be sold are stored at home 3. They incur more expenses for bills and wages. 7. Weekly markets have a large number of shops selling the same goods which means there is heavy competition among the hawkers. 7. The competition among shop owners is relatively less. Q3. Explain how a chain of markets is formed. What purpose does it serve? Goods are produced in factories, on farms, and in homes. We don’t buy goods directly from the producer. Nor would the producers be interested in selling us small quantities. The people in between the producer and the final consumer are the traders. A chain of markets begins from wholesale markets to retail shop owners who sell directly to the consumers. In between wholesale markets and retailers, there are medium and big traders. For example, a hawker or retailer purchases plastic items from a wholesale-trader in the town. The town wholesaler, in turn, buys from a bigger wholesale trader in the city. The city wholesale trader buys a large number of plastic items directly from the factory and stores them in godowns. Thus, a chain of markets is formed. A chain of markets serves the purpose of enabling producers and consumers. Neither can a producer sell a small number of goods to an individual consumer nor can an individual consumer buy a large number of goods from producers. So, wholesale traders, retailers, etc. are required to link the producers and consumers forming a chain of markets. When we purchase, we may not be aware of the chain of markets through which these goods travel, before they reach us. A chain of markets also ensures that employment is provided to people who participate in the chain. Q4. ‘All persons have equal rights to visit any shop in a marketplace.’ Do you think this is true of shops with expensive products? E#xplain with examples. Ans: All persons have equal rights to visit any shop of their choice in a marketplace. It does not matter whether the shop sells expensive items or cheap items. We are free to visit any shop and see different products and buy if we can afford them. We can explain this point through an example. Kavita and Sujata went to Anzal Mall. They entered a shop that was selling branded ready-made clothes. They looked at some of the dresses and then looked at the price tags. None of them was less than Rs. 2000, almost five times the weekly market price. They could not afford to buy them. Hence they went to another shop where they could buy at cheaper rates. In a free economy, we can be buyers or sellers in the marketplace, however, our decisions are usually based on the amount of money we can spend. Not only does money play a crucial role, but it also depends on our choice of goods. Q5.‘Buying and selling can take place without going to a marketplace.’ Explain this statement with the help of examples. Ans: ‘Buying and selling can take place without going to a marketplace,’ This statement is true based on the new trend in marketing and sales. Technology has changed the traditional concept of marketing by manual presence to buy and sell anything. Nowadays, it is not necessary to go to the market to purchase goods. Anyone can place orders for a variety of things through the phone or the Internet and the goods are delivered at the home or place where needed. Examples of several e-commerce sites that facilitate buying and selling on the internet are Amazon, Snapdeal, Flipkart etc. Nowadays, In clinics and nursing homes, we see sales representatives waiting for doctors or taking orders at shops for different goods or medicine. Such persons are also engaged in the selling of goods. The use of electronic wallets, internet banking, and swipe machines has helped in ease of payment. This also encourages buying and selling without going to a marketplace. NCERT Solutions Class 7 Social Science PDF (Download) Free from myCBSEguide app and myCBSEguide website. 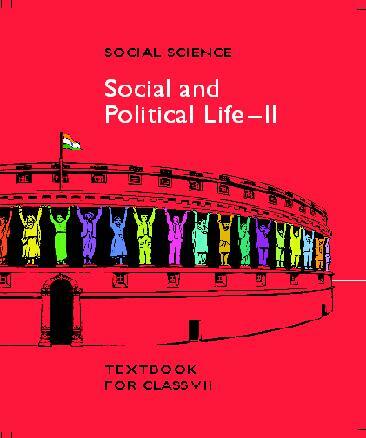 Ncert solution class 7 Social Science includes text book solutions from part 1 and part 2 and part 3 NCERT Solutions for CBSE Class 7 Social Science have total 30 chapters. 7 Social Science NCERT Solutions in PDF for free Download on our website. Ncert Social Science class 7 solutions PDF and Social Science ncert class 7 PDF solutions with latest modifications and as per the latest CBSE syllabus are only available in myCBSEguide. To download NCERT Solutions for class 7 Social Science, Computer Science, Hindi ,English, Maths Science do check myCBSEguide app or website. myCBSEguide provides sample papers with solution, test papers for chapter-wise practice, NCERT solutions, NCERT Exemplar solutions, quick revision notes for ready reference, CBSE guess papers and CBSE important question papers. Sample Paper all are made available through the best app for CBSE students and myCBSEguide website.